A trade group representing more than 40 of the country’s biggest tech companies announced on Friday plans to intervene in a lawsuit against the Federal Communications Commission (FCC) over its 2017 order dismantling net neutrality protections for American consumers. 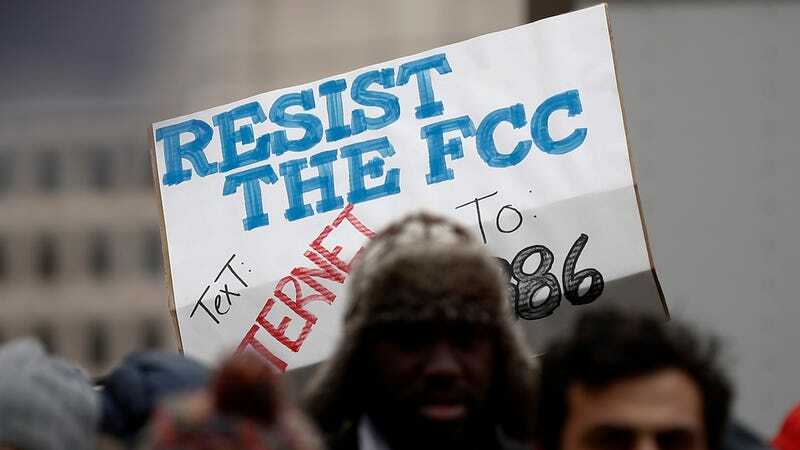 The announcement by the Internet Association (IA) came less than a day after the FCC published the full text of the Restoring Internet Freedom Order (RIFO) on its website. As an intervener, the IA would be a third-party to the lawsuit, asserting its right to weigh in on the case in order to protect its members’ interests, which would clearly be impeded by disposition of the case. The legal battle will take place months from now in a court yet to be determined. The number of litigants is also currently unknown—interested parties have another 50 days or so to file if they wish to join the suit. Among those who’ve declared their intent to file are nonprofit Public Knowledge; the open-internet advocacy group Free Press, and e-commerce giant Etsy. For instance, legislation introduced by Rep. Marsha Blackburn, Republican of Tennessee, purports to enshrine net neutrality protections into law but actually opens up the door to paid prioritization (read: “fast lanes”) for companies that pay to have their services delivered at greater speeds, which many experts claim is an innovation-killer, particularly for new startups. “The FCC’s decision to overturn net neutrality rules was deeply disappointing for those of us who have fought so hard for the strong protections that enable millions of microbusinesses to start and grow online. Under the FCC’s new proposal, millions of small business, like Etsy’s 1.9 million sellers, could find themselves in the internet slow lane or blocked altogether. “Etsy is continuing to fight for a free and open Internet; that’s why we intend to challenge Chairman Pai’s order in the courts.